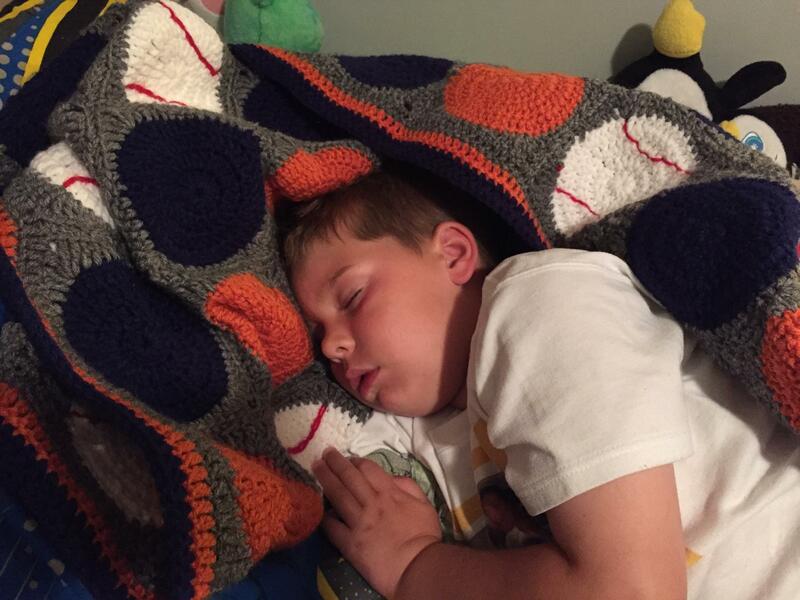 This little slugger is all snuggled in his “Batter Up” blanket. He received it as a birthday gift and was so excited! You, too can have one made for your “little or big” slugger in their favorite team colors. You will find this in Robin’s Nest with starting price for a twin size. Need an idea for a Christmas gift?